Location, Location, Location! 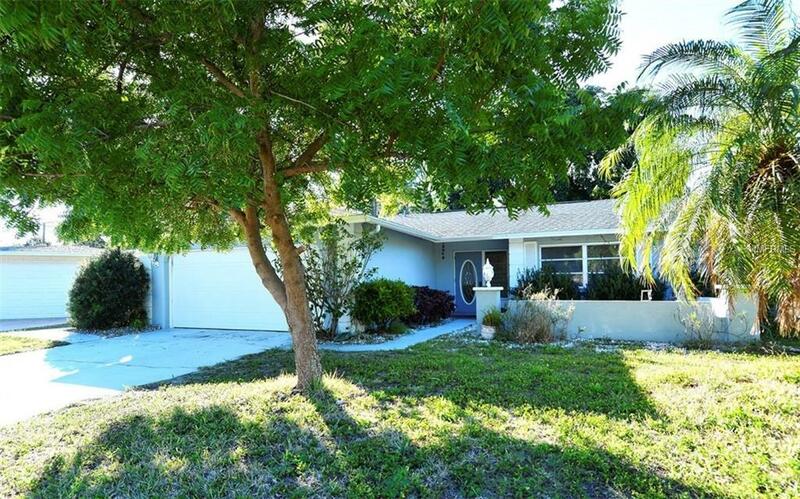 Situated on one of the best lots on Gulf Gate Dr. this home backs up to St Thomas More Church. Very private lot! Beautiful Brazilian Cherry wood floors throughout except baths. 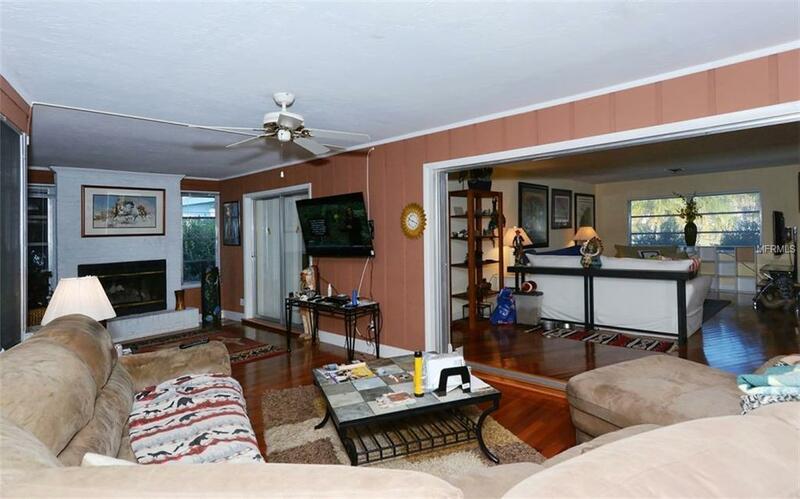 The formal living room is filled with natural light. 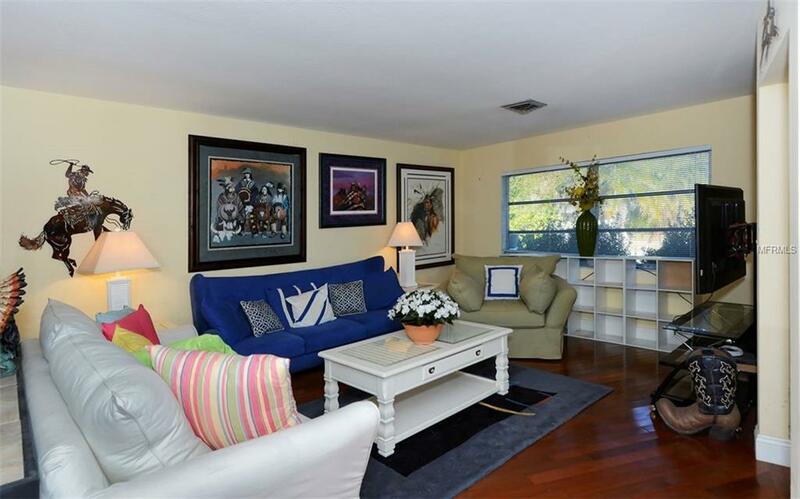 The family room has a fireplace and beautiful views to the tropical back gardens. The kitchen features solid surface counters, newer stainless appliances and plenty of storage and workspace. The kitchen overlooks the separate breakfast room with a large picture window. Nice sized bedrooms with generous closet space featuring a split bedroom floor plan. 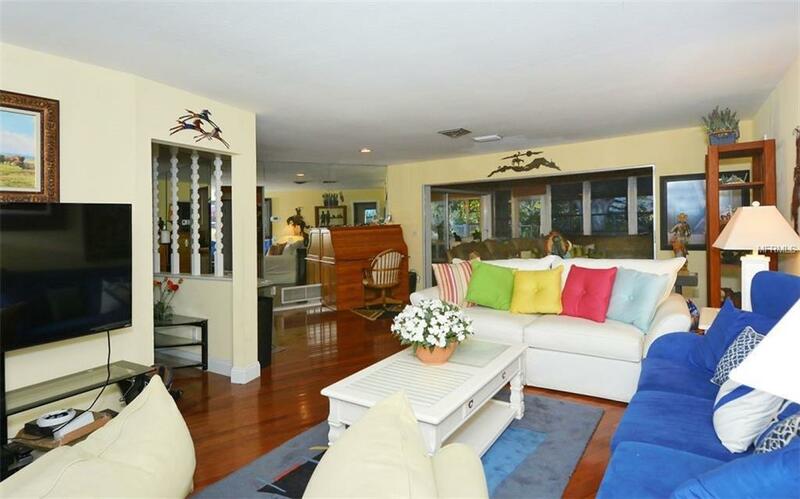 Enjoy the tranquility of your private tropical oasis on the large covered and screened patio. New roof in 2014. New AC in 2016. Conveniently located to the new Gulf Gate Library and the Gulf Gate Village with an abundance of small, local businesses including restaurants, gift shops, consignment shops and more! MINUTES from Siesta Key Beach, #1 Beach in USA! !